This episode is sponsored by Oostas. Get your FREE Website Report today (click the image above)! 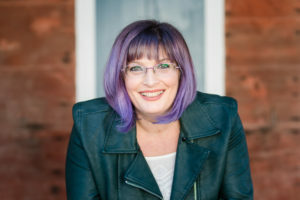 On-Line Messaging for small business with Nicole Holland, an entrepreneur, on-line marketing expert, and recognized authority on podcast guesting. She shares her unique and challenging journey, from dropping out of high school and quitting her correctional officer job, to becoming a popular podcaster. She also shares tips & advice on how to develop effective messaging online for your small business. Nicole is recognized internationally as the authority on “Podcast Guesting”, Nicole Holland is also known as a Catalyst who generates creative, out-of-the-box solutions for her clients, colleagues, and friends. She is the host of The Business Building Rockstars Show. She focuses on helping emerging thought leaders get known, through appearances on podcasts (learn more). Nicole lives in Ontario, Canada.